Why are you here? My guess is that you read the title of this article, and it enticed you. Now, expectations are running high! The article claims to be the ultimate guide for search engine optimization for HubPages. The title is certainly bold, and it appeals to a wide audience, probably every person affiliated with HubPages. Titles are truly one of the most important factors in search engine optimization (SEO). If your title isn’t enticing, you probably won’t get many hits. If your title brings traffic but fails to live up to what it promises, people won’t spend much time on your site, and your site will start falling in rank. Before we get ahead of ourselves, we really need to backup and look at SEO from many different angles. Yes, we’ll cover titles, but that’s not where SEO begins. This isn't really a sitemap in SEO terms. Instead, it's intended to help you navigate this hub. This is a really long hub. Remember, the title makes bold claims about this hub being the ultimate guide to search engine optimization on HubPages. I couldn't just write a few hundred words and leave it at that. I had to provide a lot of information! Why Is SEO Important to Your Hub? How Many Words Should Be in a Hub? How Many Outbound Links Should My Hub Have? If you ever have to make an index for a hub, it's a pretty good bet that you didn't focus your topic enough. SEO stands for search engine optimization. It refers to the practice of adding and deleting certain characteristics from your hub in an effort to maximize your rankings among various search engines. For our purposes, it’s everything you need to do to get on the first page of any specific search engine without paying to do so. Really, SEO should be RO, reader optimization. Most SEO practices are aimed at producing a product that ranks higher, but the practices generally produce a better product, one that is better for the reader. If you produce articles the way you would want to read them, you’ll typically rank higher on search engines. This kind of reader optimization is typically what search engines want. As search engines search for better algorithms by which to rank our hubs, they continually adapt what they are looking for and what they expect. These algorithm changes have a variety of names, and much speculation is made with regard to what they are changing each time and whether the changes actually work. Ultimately, search engines are looking for the most relevant material with the greatest level of professionalism. Isn’t that what you look for when you are searching for something? As technology continues to advance, SEO practices evolve. Search engines are looking more and more at what users say about your hub. Do your readers like what you are saying? Do they come back? Do they spend any length of time reading your material? Ultimately, you would do well to focus on reader optimization rather than SEO. In the end, reader optimization will stand the test of time while SEO will fluctuate and vary depending on the latest algorithm change. Good reader optimization should include a relevant title, solid and unique content, pictures, user-friendly organization, and anything that will improve the reader’s experience. If you have all of this, you’re probably hitting both SEO and reader optimization at the same time. Quality content should always win over quality optimization. If this article focused solely on SEO, it wouldn’t be an evergreen topic. That would go against one of the cardinal rules listed on this site! Reader optimization, on the other hand, is and always will be evergreen. Do you remember when you were in middle school or high school? Did you ever have to write a report? Teachers often tell their students to narrow a topic. Instead of picking "space" as a topic, you might pick "Neptune." Instead of picking "cars" as a topic, you might pick "corvette" or even "The 1963 Corvette." Narrowing your topic makes it easier to be noticed. You certainly wouldn't want to write an all-inclusive hub on SEO, because search engine optimization is already a competitive field. You'd never rank for SEO, and an all-inclusive hub would make it nearly impossible to rank for niche topics, such as hub tags, hub capsules, etc. What was I thinking? By its very broad, competitive nature, this hub could never be fully optimized for search engines! Your hub title is arguably the single most important part of your hub, other than the value of your backlinks. Choose wisely, because your title is typically linked to your URL, unless you opt to change your URL. You can always rename your hub, but you can never change your URL! Measure twice, because you can only write it once. Tags are used to simplify internal searches within HubPages. A “car” tag would make your hub searchable whenever somebody looks for “car” on HubPages. Can you see why tags are different than long-tail keywords? Nobody on HubPages would ever look for “Ford Mustang Quarter-Mile Times.” While this keyword might be useful within your hub, it certainly wouldn’t work as a tag. Tags help show what ads and related hubs appear on your hubs. If your tags are not specific, you’ll find that your ads and related hubs do not relate to your topic. Every tag’s page links back to any hub that uses its tag. Appropriate tags will help you garner attention by positioning your hub in other related hubs. Tags are not meta tags, so they appear on your page. Because of this, they can actually raise your keyword density. Many hubbers ask about word count and SEO. Many answers are given. In reality, nobody really knows what the search engines want. I know of some hubbers who do quite well with short, 500-word hubs. Others do well with longer hubs. There is no general consensus on hub length. Here on HubPages, some hubs rank quite well with only a few hundred words, outranking other sites that have thousands. Then again, some of our hubs are outranked by sites that have almost no text and nothing but SEO strategy. Ultimately, every hub, and every site for that matter, is different. Some hubs can get away with only 500 words, often ranking high because of inbound links, good keywords, and other SEO strategies. With that said, word count certainly does matter. All SEO being equal, the site with greater content will ultimately win out, in most cases. The other thing you need to keep in mind is that search engines will likely never punish sites that have a solid word count. Can you say this about short hubs? With all of the algorithm changes occurring, you never know what’s coming. Do you really want to spend hours adding text capsules to each of your short hubs because of a search-engine slap down? In 2011, that’s exactly what many hubbers had to do when HubPages increased the number of words necessary per Amazon capsule. This change occurred due to a series of Panda updates by Google. Ultimately, you’d be better off keeping your copy count high enough to avoid this kind of nightmare scenario. What is the magical number? HubPages required a minimum of 1,500 words in its Flagship contest. That’s probably a good, safe number. You can certainly rank well with less, but in the long run, 1,500 words is a good place to start. A thorough review of the most successful hubbers reveals what HubPages has already suggested. Most of these successful hubbers keep their hubs between 1,000 and 2,000 words in length, with the average right at about 1,500 words. To be fair, each of these articles typically contains additional capsules that improve the reading experience, and I’m sure some backlinking is taking place too. What’s the magical number? Who knows? I prefer to stick to 1,500 words or more, because HubPages recommends it and the most successful hubbers are already doing it. There were many different requirements for possible selection to the Flagship contest here at HubPages. One of the requirements was at least 10 relevant links to other sources, each with your own 30-50 word description. Ultimately, this number is likely more of a guide than a rule. Outbound links should appear organically, adding to each reader’s experience. Other than backlinking, naming your hub’s title is largely the most important part of good SEO, but keywords will probably dictate what your title is and how search engines see your hub. Consequently, keywords are probably the single most important part of search engine optimization, other than just writing a good hub with solid, unique content. Because of this, there are millions of articles about keyword selection on the Internet. Everybody has a viewpoint, but nobody really knows the answer to this, except the search engines. Speculation runs rampant. Before proceeding, you need to know that some hubbers will disagree with what I'm going to say about keywords. By the way, keyphrases is probably a better word than keywords, because you'll seldom be targeting single words. Some hubbers advocate using a lot of keywords while others suggest using only a few. My advice is based on research, within HubPages. Again, speculation runs rampant. As a very general rule, you should never have more than one keyword or keyphrase per hundred words of text. An article that contains a thousand words could conceivably have as many as ten keywords, etc. On the surface, this looks simple, but in reality, you’ll probably use the same keyword more than once. Consequently, an article with a thousand words might only have somewhere between two to six keywords, because some are used more than once. A thorough sampling of the most successful hubs reveals that most of these hubs have between two and six keywords, regardless of length. Few of these hubs exceed six keywords or go below two. As a very, very basic rule of thumb, you might aim for at least two keywords for a standard-length hub and as many as six keywords for a really long hub, like this one. However, in reality, there is no magical number. You're competing against millions of people and businesses who want to outrank you. Using a lot of keywords might sound great to a novice, but it can actually make it harder for you to rank in search engines. Often times, you'd be far better off to select only a few keywords to focus on, so you can rank high for them. Sometimes, less is more. For example, a page about 1969 Corvettes and 1967 Mustangs doesn't have much of a chance of ranking on the first page of a search engine for either of these keywords. To have any chance to rank well, you need to have one page about 1969 Corvettes and one page about 1967 Mustangs. If you spend much time trying to learn about SEO, you’ll notice that some SEO experts recommend that you use bold or italics to emphasize keywords. Personally, I find this practice highly annoying, because it typically tends to make the article less reader optimized. There is a common belief, perhaps less so now that more algorithm changes have taken hold, that bold and italic words are given preferential treatment by search engines. For this reason, some people tend to use this technique for SEO purposes only. Does it look right or sound normal to highlight something like hub SEO or search engine optimization on HubPages? I believe there are rare occasions that this actually improves reader optimization, but for the most part, it’s merely an SEO tactic that may not even be beneficial now. Ultimately, I recommend that you not participate in this practice, because it’s just annoying. There are also a lot of SEO experts that will tell you to put your keywords in the first paragraph, somewhere in the middle of your hub, and in the last paragraph of your hub. If it fits and flows well, then I would encourage you to do this. If it’s forced and obviously doesn’t improve your hub, don’t do it. Ultimately, search engines will see through these SEO tactics and start focusing on what readers say about your hubs. Focus on reader optimization, and in the long run, you’ll do better than the hubbers who spend all of their time emphasizing SEO. Again, reader optimization should always win out over search engine optimization. By investigating search trends, you’ll not only learn which terms and phrases to target with SEO, but you’ll also learn more about what your readers are trying to find. Keep in mind, there are many, many free resources, and some paid, to help you discover what keywords are best. Some keywords have thousands of searches a day. Surprisingly, these keywords make up less than thirty percent of the overall searches performed on the Internet! Some keywords have only a few searches per day, a few hundred or less. You’ll be targeting these less-searched keywords, often as long-tail keywords, that actually account for the majority of searches, roughly seventy percent. For most hubbers, it’s a good idea to go after long-tail keywords with the lowest amount of competition, both paid and unpaid, and the highest amount of searches. There are many, many sites and programs that can help you do this. Some are free, and others can be purchased. With a bit of research, keywords can be obtained for free. By doing this, you’ll save money and learn the intricacies involved with keyword selection. 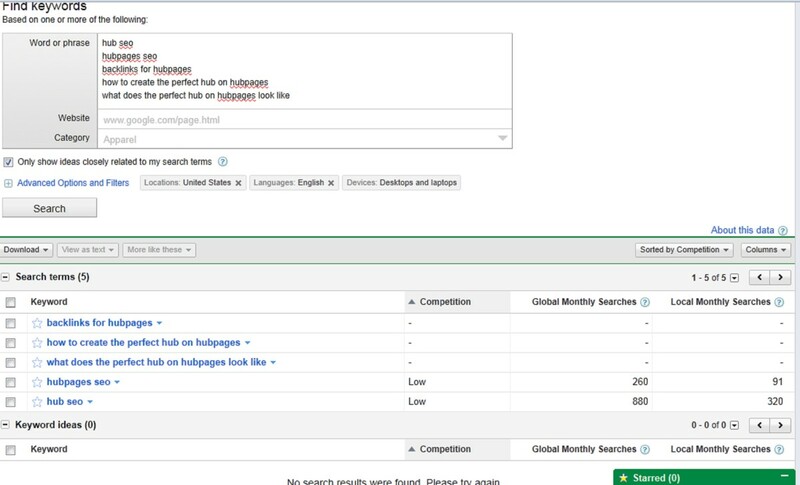 First, make a list of keywords/keyphrases that people might use when looking for your hub. Remember to include synonyms and common misspellings. Click on “competition” to rank your selections from low to high. Note that this does not tell you how many articles exist. It merely tells you how much paid competition there is. You don’t want to compete with anything that has a high level of paid competition. Medium competition is obviously better, and low competition is best. Stick with low to medium competition only, preferably low competition. Click on one of these keywords, and click on Google search. Now that you’ve searched that keyword, you’ll notice that the search page will indicate how many results there were. This number is your competition for an exact match of your keyword/keyphrase. You’re going to want to make sure this number is small. You won’t be able to rank well if there are millions and millions of competitors. Divide the number of searches by how much monthly global competition Google shows. Let’s take a hypothetical number of 1,800 searches a month for your specific keyword. Let’s say Google shows 12,000 results based on that keyword. In order to understand the ratio of competitive pages versus popularity, take the 800 and divide it by 12,000. The result is 0.15, a low yet reasonably decent KEI, Keyword Efficiency Index. The larger the KEI, the better the keyword/keyphrase. To put it simply, the very best keywords have a KEI of one or above. The higher the KEI, the more chance your site has for ranking for that keyphrase. Remember, do not include keyphrases with a lot of paid competition. At this point, you might find a lot of one or two-word keywords that have a high KEI. Most of these will be clunkers. Try to find those high-KEI keyphrases that have at least three words or more. Discard this keyphrase. The KEI is way too low, and there are only two words. Discard this keyphrase. The KEI is way too low. Discard this keyword. While it has the highest KEI, it's still not good. It only has one word. Never write about Hub SEO. There are very few keyphrases that yield a high KEI! I like to consider hubbers as either bloggers or backlinkers. Yes, I know that we do not truly blog here on HubPages, but my alliteration sounds better when I call it that. When you joined HubPages, did you do so because you enjoy writing? Did you join, because you enjoy creating backlinks? My guess is that you enjoy writing more than backlinking. That's actually a good thing. When you look at the most successful hubbers, you find that most of them generate massive traffic by quality and volume. They write hundreds of hubs that are of high quality. I'm sure they do some backlinking too, but most of their efforts appear to be directed at hub production. Now, there are some successful backlinkers too, but they are few and far between. No SEO article would be complete without a section detailing backlinks. After all, they are perhaps the most important part of your SEO strategy; many SEO experts say they're more important than your title. The question is how much time should you spend on backlinking? My belief is that I'm better off spending the majority of my time writing articles that are of high quality, backlinking a bit here and there, and hoping for these articles to garner real backlinks, organic links rather than manufactured ones. Good hubs have a way of rising to the top if they get reasonable attention. 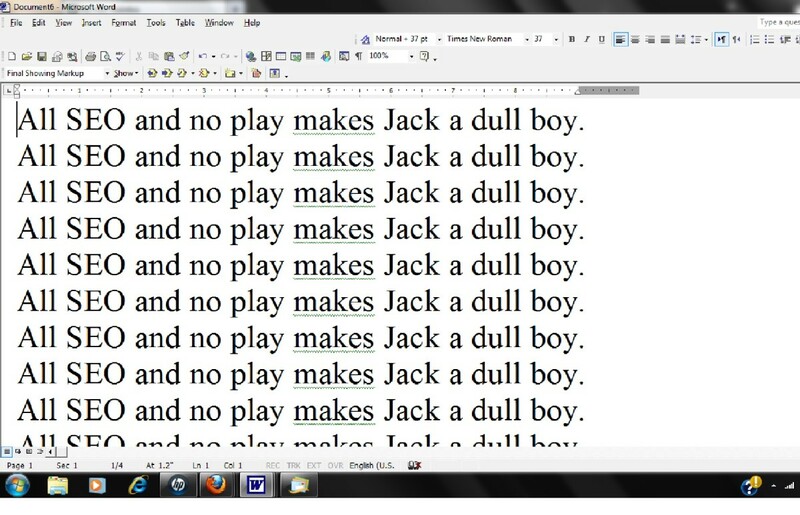 Here's one last word about anchor text. Don't waste an anchor-text backlink on something such as "Click Here." Your anchor-text backlinks should target important keywords. Backlinks are not all equal. When you backlink, you want to get links from sites that are important and have a high PR, pagerank. PR is a numeric measure that shows how important a page is on the web. Sites are measured on a 0-10 system, with 10 being only the biggest and most important sites. You might think that ten PR1 links equals one PR10 sight or that four PR2 sites equals one PR8 site, but that's not the case. Generally, PR1 sites are of little value. The same goes for PR2 through PR3 sites, but as you might expect, PR2 and PR3 sites do start to garner some attention from search engines. You really want to start with PR4 and above, really focusing on getting links from the PR6 through PR10 sites. Think of links like friends. Are you better off with a lot of low-quality friends or a few great friends? Even better, try to get a lot of great friends! A lot of hubbers speculate about backlink timing, how often you should try to get a backlink. Search engines have stated or implied that the practice of backlinking is frowned upon in their ranking systems. They go on to state or imply that they are looking for natural, organic linking. Because of this, many hubbers recommend that you avoid backlinking services that claim to provide hundreds or thousand of backlinks. I'm not so sure that's the real reason I would avoid these offers, but it is food for thought. Most backlinking sites offer low-quality backlinks that are of little to no value. Others claim to offer high-ranking backlinks. Some even claim to offer high-ranking backlinks that are added here and there in an effort to make it look like the backlinks have been added organically, by actual users. Ultimately, I question the validity of this kind of backlink timing. The SEO business if very competitive, and many site owners will do anything they can to get to the top of search engines. Couldn't somebody merely submit their main competitor's URL to a backlinking service? Under the premise that backlink timing can damage pagerank, wouldn't this destory the competition? Again, Matt Cutts of Google has stated that site owners can't control who is linking to them, but they have control over whom they link to. Ultimately, the debate is almost pure speculation. My recommendation is to avoid sites that claim to offer backlinks, both free and paid. Backlink Value: Are Government and Education Sites More Valuable for SEO? SEO experts have long believed that links from government (.gov) or education (.edu) sites are far more valuable than links from other sites. These experts profess that education and government institutions are unbiased, and they are more respected sources. Matt Cutts, a Google spokesperson, has stated that this is not true. He has stated that there is absolutely no bias towards government and education links. Even with Cutts’s statements regarding this issue, many SEO experts have stuck to their guns and adamantly state that Cutts is not telling the whole truth. The issue is unclear. I can’t say, one way or the other, whether government and education sites are more valuable in your backlink strategy. I can say that they may be considered more valuable either now or in the future. You never know what the next algorithm change will value. It makes sense that these sites might or could have greater value. Consequently, you would be wise to start getting backlinks from these sources. Finding these sources is quite easy if you use the right tool. See Drop My Link, or keep reading. A thorough description is in the next section, "Blog Backlinks." Note that this site is also great for finding sites that allow anchor text. See "Choosing Outbound Links" in the checklist portion of this article, for a clear description of why anchor-text links and backlinks are so valuable. For information on how to make anchor-text backlinks, see "Anchor-Text Backlinks." Remember to target your keywords when you use anchor-text backlinks. Many hubs have been written about backlinks. Most of these hubs direct users to social-network sites, news sites, and directories. While there are a lot of hubs that also talk about blog backlinks, it’s unfortunate that more time is not spent on this topic. Blog lists are difficult to find, but there is a way to search for them, a way to find relevant, up-to-date blogs. Remember, you need to leave a comment in a blog. Don’t just drop your link. You’ll be perceived as a spammer if you do. Instead, you need to read the blog, add to the blog with a relevant comment, and then put your link. Your Keyword Goes Here site:.edu inurl:blog "post a comment" -"you must be logged in"
foods that cause intense feelings of love site:.edu inurl:blog "post a comment" -"you must be logged in"
Your Keyword Goes Here site:.gov inurl:blog "post a comment" -"you must be logged in"
foods that cause intense feelings of love site:.gov inurl:blog "post a comment" -"you must be logged in"
Your Keyword Goes Here "Allowed HTML tags:"
foods that cause intense feelings of love "Allowed HTML tags:"
Your Keyword Goes Here "Notify me of follow-up comments?" "Submit the word you see below:"
foods that cause intense feelings of love "Notify me of follow-up comments?" "Submit the word you see below:"
There are two primary types of backlinks, do-follow and no-follow backlinks. Most hubbers spend the majority of time focusing on do-follow backlinks, with just cause. These are the backlinks that can increase your standing with search engines. Unfortunately, no-follow backlinks have a bad reputation, and many hubbers avoid them like the plague. That's a shame, because no-follow backlinks are important too. Twitter is a good example of a no-follow backlink. When you tweet a link to one of your hubs, that isn't considered a true backlink. Yes, your followers can click on the link and go to your site, but search engines don't follow that "backlink." That means that no-follow backlinks may garner traffic and attention, but they do not help you with search engines. There are many ways to determine if a backlink is do-follow or no-follow, but I have a simple litmus test that works almost every time. Ask this simple question. Can I drop many backlinks to the same hub, on the same site, within minutes? If you answer yes, then it's probably a no-follow backlink, like Twitter. Now I know that many people avoid no-follow backlinks, but you really should use them too. Traffic is traffic. When people go to your site, sometimes they vote, pass your link on to other people, or even link to your site. For this reason, using no-follow "backlinks" can sometimes be as valuable as using do-follow backlinks. There's another kind of backlink called a reciprocal backlink. Basically it works by both sites linking to each other. "If you link to my site, I'll link to yours." Reciprocal backlinks are of questionable value, and I would not recommend using them often. This is a list of some of the most common sites where you can obtain links. These sites all have a high PR, so they're worth your time. This list is very incomplete. There are literally millions of sites where you can get backlinks. Nobody could ever list every backlink site, and this article makes no attempt to do so. Instead, these sites, both do-follow and no-follow, are added as a very solid starting point for anybody truly interested in improving their rankings with search engines. If you have a hub that is newsworthy, by all means, post it to this site. Beware, Digg users do not like spam. Don’t overdo it with your hubs, or you’ll look like you are a spammer. Facebook is a social network site. You can drop your links trough different posts that you make. This is an extremely popular site for sharing pictures. Folkd is a bookmarking site. You can bookmark your hubs here and leave it so the public can access your hubs through these links. Yes, HubPages is on my list of links. You should think about linking your hubs to each other. These links, however, are really not considered backlinks by search engines. In order for them to be considered backlinks, they must come from another site, another domain. Still, linking to your hubs increases traffic and potential for links, so it helps promote your hub. Pinterest is a bookmarking service that creates a virtual pinboard of site images. If you have a hub that is newsworthy, by all means, post it to this site. Beware, Reddit users do not like spam. Don’t overdo it with your hubs, or you’ll look like a spammer. Twitter is a social network site. You can drop your links trough different posts that you make, tweets. You can create your own miniature sites and put links to your hubs on these pages. __________Write about topics that are evergreen. For example, if you are writing a review that compares two new cameras, you might get quite a bit of traffic for several months, perhaps even a year or two. This isn’t really an evergreen topic though, because it’s not likely to be something somebody will continue to search for years to come. Try to select topics that will still be interesting and useful for years to come. __________Write about topics you know or topics that interest you. Trust me, your audience can tell when you are truly interested in the topic. __________Choose a title based on your keywords, keyphrases. Don’t force a title, because you found good keywords. Your title should always honestly represent what your article’s content is. __________Place your best keywords at the beginning of your title. Search engines assign the most importance to your first word, then your second, then your third, etc. The beginning of your title is always the most important part, and the end is the least important. __________Do not use a lot of commas in your title. Excessively using commas in your title may look like you are keyword stuffing. __________If you must separate keyphrases, use a hyphen to do so. Hyphens will enable you to separate keyphrases and rank for them while listing them only once. For example, if you are a hubber, then the keyphrase “hub-design” will associate you with search queries for “hub design” and “hubdesign”. __________Make sure your title is unique. Google the title to make sure nobody is using it. If somebody is using it on HubPages, choose a different title. If it’s being used by somebody outside of HubPages, think long and hard before choosing to duplicate their title. Typically, you should be aiming for a unique title. Don’t recycle titles that are very similar to other titles you’ve already used. __________Do not include unnecessary words or symbols in your title. Ideally, every word in your title should be part of your keyword/keyphrase. Most symbols and punctuation are worth nothing in SEO terms. However, some of these same symbols and characters might actually help you, because titles often make more sense to people when they are used. __________Make sure your title is AT LEAST four words but does not exceed seventy characters. Most successful hubs have a lot of words, typically Google cuts off the display at roughly 63-64 characters. Using a long title, one that contains at least four words, is often referred to as a long-tailed keyword. __________If you mistakenly misspell any keywords in your title, start over. HubPages uses your title to determine your URL. While you can have a URL that is different than your title, most hubbers do not do this. Misspelled words in a URL will likely result in lower search engine rankings. __________Your URL (Uniform Resource Locator) should typically contain your keywords, your title. Your Title should also include your keywords. 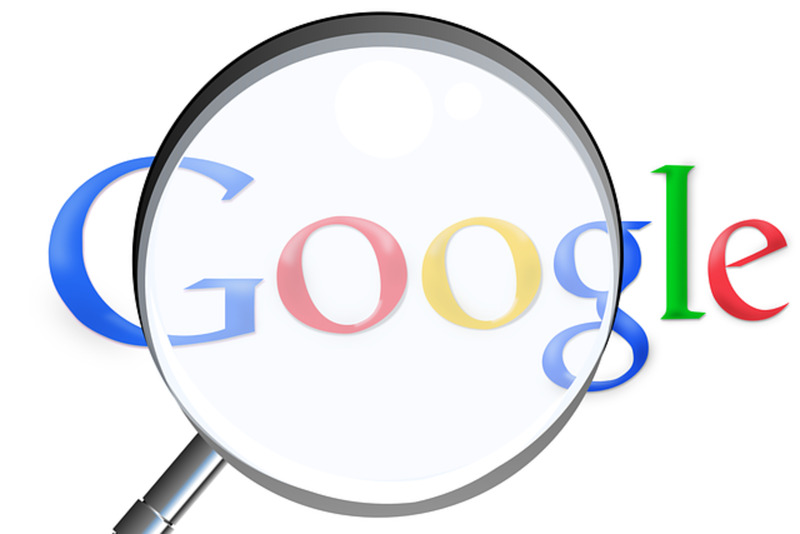 Google and other search engines look at what your URL includes and does not include. This is really easy with HubPages, because once you type your title, a recommended URL is immediately suggested, one that is solely based on your title. __________Generally, you should not use slang or regional terminology that limits the number of people who will search for your topic. Don’t use wording that limits your audience to one nation or one language. Try to make your titles appeal to everybody. For example, putting the word “petrol” in your title might limit your searches quite a bit. Using “gas” might do the same thing. Balancing the limitations of the English language can be tricky, but in the end, your search results will be greater. __________Make sure your title truly answers or describes what the entire article discusses. Never choose a title that truly does not fit the content of the article, regardless of whether it seems to be a good keyword. Search engines will punish you, and people won’t spend much time on your articles. Your site ranking is partially based on how much time people spend on your article, so you want to keep them there for a long time. Additionally, you want them coming back. A deceptive title won’t accomplish this. __________Create tags that are 1-3 words long, seldom longer. These words should help classify your hub into searchable categories that hubbers might search. A hub about 1970 Ford Mustangs might be categorized as: Ford, cars, classic cars, etc. Don’t use keyphrases as tags unless they are short and searchable within HubPages. __________You should have between 6 and 20 tags per hub. Longer hubs should have more tags, while shorter hubs should probably stick to roughly 6. HubPages recommends 10 tags per hub, in general. Some very long hubs might actually exceed 20 tags, but it's rare for this to occur. __________Once you’ve entered your tags, search them. Click on the tags you’ve selected. They are searchable within HubPages. When you click on one of your tags, you should be redirected to a page containing other hubs with the same tag. If your hub is the only one on the page, that’s generally a sign that you’ve chosen a tag that has a very limited search potential. Typically, you should delete that tag and choose a new one. On the other hand, maybe you’ve just written the first cutting-edge hub about a topic. If that’s the case, keep the tag and watch your hub views skyrocket! Either way, treat each tag as a link to your hub. Tags should be searchable terms that draw traffic. __________Don’t have too many links from your hub. Matt Cutts, of Google, reportedly said, “The ‘keep the number of links to under 100’ is in the technical guideline section, not the quality guidelines section. That means we're not going to remove a page if you have 101 or 102 links on the page. Think of this more as a rule of thumb.” It’s very clear that having too many links is bad for your SEO. Search engines consider it a sign of low-quality work. Wouldn’t you? John Mu, again of Google, said, “100 links to a page is a just a suggestion … There are pages out there with more than 100 links, and it isn't an issue. If your page is sufficiently authoritative, Google is going to be interested in the pages that are being recommended by that page.” With this, it is clear that you need to limit the number of links from your hub and show that you are an authority in that topic. __________Don’t link to things that do not really support or relate to your topic, not even your own hubs. Remember, anything that appears on your hub will change how search engines view you. If you don’t believe this is true, type a few erroneous words on any given hub and paste your URL into the Google Keyword Tool. You’ll immediately see different keywords listed for your site! __________Don’t allow people to leave comments with links that do not support your topic. I know that many hubbers love to see comments, but these comments do little to support your SEO if they contain irrelevant links. __________If you are going to link to another hub, do it the right way! When you link to another hub, you can earn money if you do it correctly. There are different ways to do this, but the easiest is to simply go to the hub you want to link to, and page to the bottom of the hub. At the bottom of that hub, you’ll see an option to “link to this page”. This option inserts your referral tracker. Once you have a referral tracker inserted into the URL, you'll receive a share of the impressions the hub generates each time it is accessed through the link you made. __________Link to your own hubs using anchor text that is within a paragraph about like content. Anchor Text is the visible, clickable text. It's the hyperlink that probably describes the general topic of the hub and the keyphrase for which you wish to rank well within search engines. In HubPages, it's blue. Notice that anchor text is a hyperlink. Remember, these kinds of links are far, far more valuable, in terms of SEO, than lists of links. My Backlink list is not as effective as this anchor-text link, but then again, I'm not linking to my own sites. Because of that, I'm not as interested in making anchor-text links that are imbedded in paragraphs about like content. __________Link to other sites that are going to help you. Link to big, important sites only, if possible. 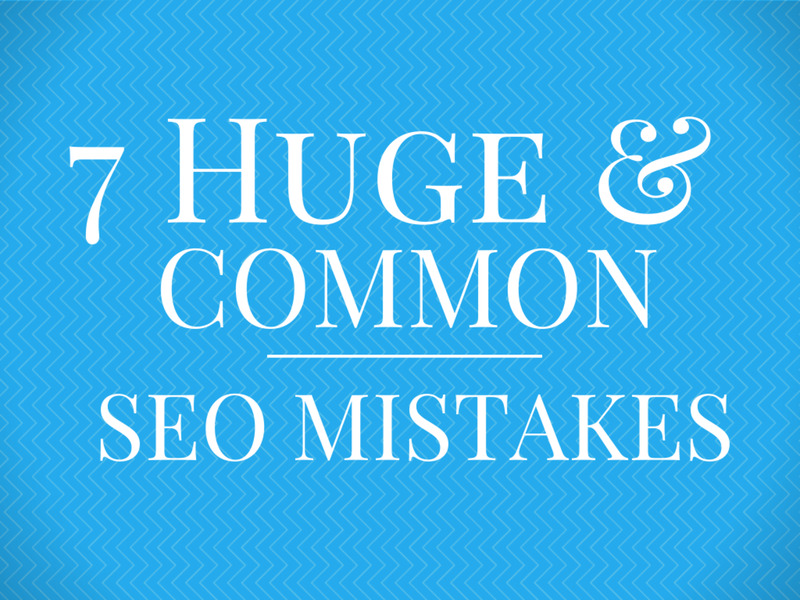 Linking to unimportant sites can be bad for your SEO. Matt Cutts of Google put it pretty clearly when he said that you can't control who links to you, but you can control where you link. Linking out is important. Link your hubs to respectable sites with high pagerank if possible. __________Stick to somewhere between 2 and 6 keywords per hub. __________Use the KEI formula to select all of your keywords. __________Use at least 1,000 words in your hub. Remember that most successful hubs typically have somewhere between 1,000 to 2,000 words. However, a short, 500-word hub can be just as successful if it's well written, hits just the right niche, and has good backlinks. Aim for quality regardless of how many words are in your hub. __________Get backlinks from high PR sites. There is no right number of backlinks. Backlinks are arguably the single most important part of SEO, so you should try to get some even if you hate this part of being a hubber. __________Whenever possible, use anchor-text backlinks. Target your keywords as anchor text. __________Get backlinks from forums and blogs. Try to be a part of the forum and not a spammer. You should drop your links sparingly. Otherwise, you risk getting banned, or you risk ruining your "brand." __________Get backlinks from .edu and .gov sites. __________Use anchor-text backlinks to target important keywords. Misspellings detract from your hub and damage your ranking. Poorly translated hubs don't typically do well. Hubs must contain correct grammar in order to rank well. Hubs must look nice and be readable. Format matters. I could go on and on, but I think these points should be obvious and unnecessary. Ultimately, if you optimize your hub for the reader, you'll do well. Now, go out and write a hub. Happy hubbing! If you're interested in writing for HubPages, just click on this link: I Want to Write for Money! Thanks for this helpful Amazon Seller Account Suspended article. Good writing follow general rules of logic, simplicity, and reader appeal, and your article covers that well. thank you for your great article. It is very useful. A really beneficial post.Thanks for writing a good article on this topic. It's a great post keep it up. What a great hub! Thank you for the mountain of information. I appreciate it. Nice blog for blogs commenting. Thanks for sharing such ideas. Good on this blog commenting point. Thanks for writing such a good Article on this Topic . I really impressed with your ways of article with this depth.enjoy this post and will try to read and review more. Really beneficial post. Quite distinct commentary and advised phrasing are most impressive, as are his along with your generosity in sharing this rationalization and instance. I've a lot of backlink just after read this article ! Thank you.This article's increased my knowledge. Great article brother ! I read your articles every time, your blog always provides helful info, Thnaks for sharing. Thanks for the info. Just wondering if you have any insight into why HubPages seems to do so much better on Google than other search engines? thanks a lot, i really like this simple way to find new backlinks. Get paid to shrink & post your links! Earn more than $^2.00 for 1000 visits. Paying on time for over a year,join for free. Really a good post from you. It's help us. I became more confident in seo back linking after visiting this page. Hub SEO Ultimate Guide is one of the best seo guide to start seo work from anywhere in the world. Great post regarding SEO and HubPages SEO. I like and i got lot of knowledge about hub page seo and backlinks etc. Thanks for giving good instructions on coping with SEO. This is a great hub! Very informative and realistic. SEO can really be scary as your not sure where to begin but this has given an overall coverage on what we need to know as hubbers. Thanks! I am so glad to have found this article. I'm new at this and trying to get a beginner's perspective on how to do SEO, but most of the things I've found are too technical for me to understand. I appreciate you presenting it in an understandable, plain-English way. Thank! Thank you. Hope to hear from you on things like using your own ads/affiliate ads compared to amazon/ebay, and the best positioning for those ads in relation to Google Ads, etc. Thank you. This probably should have been no fewer than seven hubs, but I intend on adding more to it. What a truly fantastic informational Hub on the secrets of Search Engine Optimization (SEO), to get organic traffic to my Hubs-awesome! Lessons for us to go implement and make more money. I was in school, and in awe of the huge number of techniques of whose existence I was unaware. Very useful and I sightful. I voted up!